PART I: The Heart of the Mojo Grimm Testament - Todd Van Buskirk. Artist. In PART ONE, Mojo Grimm's teaching is distilled to the very essence of his message to everyone, in all times and places. A MOJO GRIMM TESTAMENT film. This short film is the emotional core of the MOJO GRIMM TESTAMENT media franchise. See my official website. 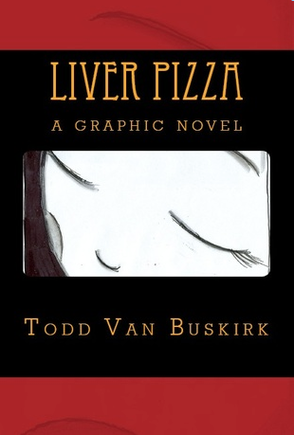 In 1992, Todd Van Buskirk created a comic strip called, "Liver Pizza." The characters and idea of the strip were refined over a twenty-year period, with Van Buskirk never quite satisfied with the results until he found a story solution during a 2008 production assignment in college. The core of the story was then presented as a basic animated storyboard with future plans to animate a short film, a plan that never came to fruition. However, Van Buskirk is very satisfied with the animatic and considers it the best introduction to the MOJO GRIMM TESTAMENT media franchise. With “The Rochester Public Library,” the author devised a writing process that allows personal meditation on the city of Rochester. Through appropriation of text, online cut-up machines and the Markov Text Synthesizer, this machine-like method separates the author from past experience, creating emotional distance from the original memory tied to the author’s hometown. The novel is an object the author can physically touch and treasure, like a vase on a table at his bedside. To an outsider, the text is profoundly boring and useless, with no redeeming qualities to retain interest. 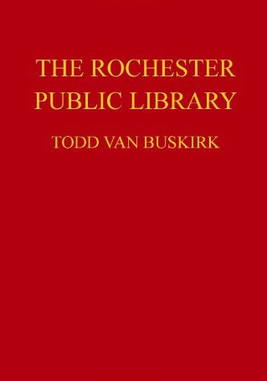 “The Rochester Public Library” was created by appropriating a chapter from Todd Van Buskirk's novel “Apple and Leo” and magnifying the text through a Markov Text Synthesizer program to achieve an obsessive meditation on obsessive memories. Todd Van Buskirk has taken his failed comic strip, "Apple and Leo," and refashioned the 48 surviving panels into a graphic novel, titled under the original title used since the early nineties, "Liver Pizza." The 48 panels are all re-patterned and remixed by chance. The new narrative is now caught in countless dream-like loops of thought. This play is a spin off of the novel, "Apple and Leo," by Todd Van Buskirk (written as Todd Winkels). The play is much different in the novel, in that it presents Mojo Grimm's book called "The Way of Apple and Leo," as a drama for the stage.